- Clean/re-tighten ECM ground connections. - Clean/re-tighten negative battery cable body connection and battery post connection. - If needed, clean and ensure good contact between the steering member assembly and the left side instrument stay assembly. Help us improve AutoCodes.com. Leave a comment below or tell us if the information above help you fix the code. 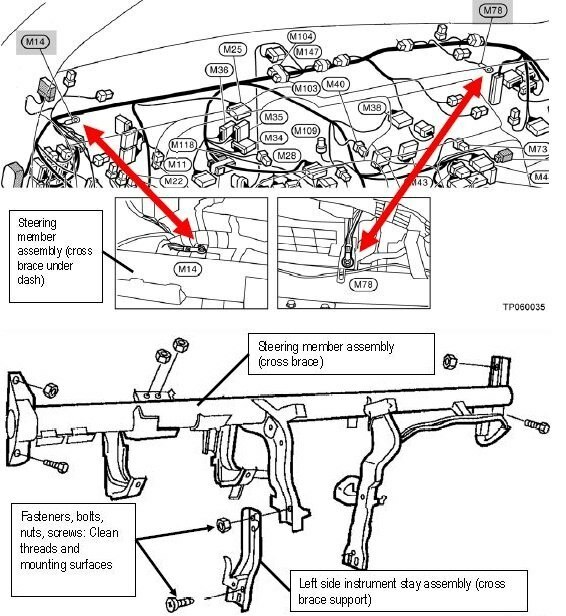 What are the symptoms on your vehicle for the U1010 2006 Infiniti G35 code? Have you replaced any parts?